As the Syria civil war has progressed with both rebels and the Islamic State [IS] encroaching on the territory of Suwayda province from the west and northeast respectively, more distinct militia factions centred on particular personalities have emerged competing for support among the predominantly Druze population: a picture quite different from 1-2 years ago when Druze militias were primarily known by generic brands such as ‘Jaysh al-Muwahhideen’ or the familiar pro-Assad Popular Committees. This post looks in-depth at these factions. 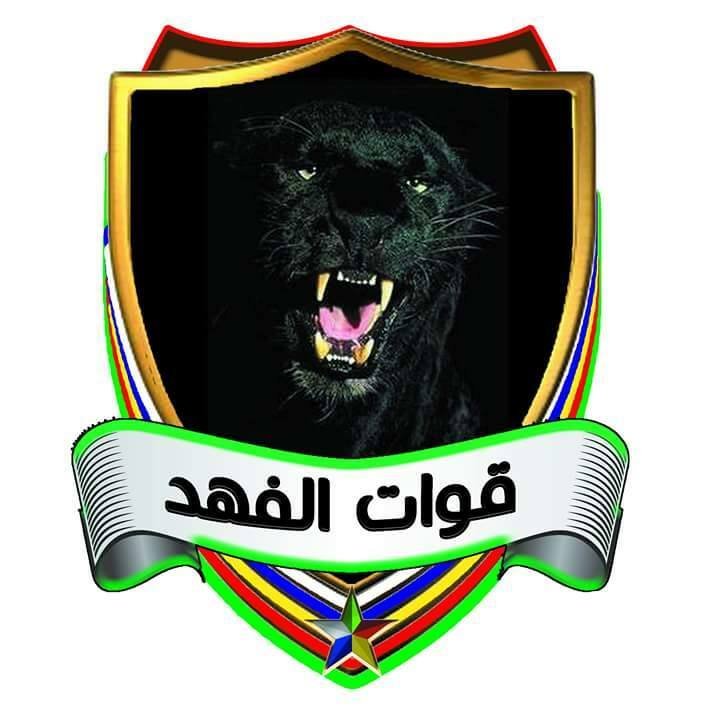 Translating as ‘The Homeland Shield’, Dir’ al-Watan is the most recent major pro-Assad faction to have emerged in Suwayda province. 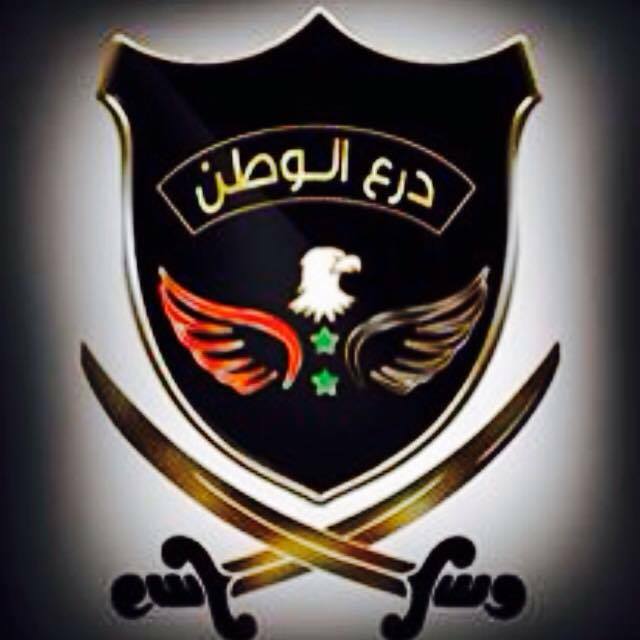 It should be noted that Dir’ al-Watan is a name and brand used by other pro-Assad formations in the country, such as the Liwa Suqur al-Quneitra (Quneitra Falcons Brigade) out to the west near the border with Israel. The concept of ‘shield’ forces has also been taken up by newer militias like the Coastal Shield Brigade affiliated with the Republican Guard in Latakia. One of the founders of Dir’ al-Watan in Suwayda is Sheikh Yusuf Jerbo, one of the leading pro-Assad figures in Suwayda. In an interview in June, Jerbo affirmed: “Our protection is through the Syrian state…our protection is the Syrian state and our rule of law is the Syrian regime.” Tying Suwayda’s protection to other parts of the remaining regime rump state, he added: “Protection of Suwayda is protection for Damascus, Damascus countryside and Deraa.” On the formation of Dir’ al-Watan, he affirmed: “The establishment of a force called Dir’ al-Watan has become an urgent necessity in view of the latest threat that the province has witnessed from the Islamic State, and the attempt [to penetrate] by fighters from the Jabhat al-Nusra organization.” Dir’ al-Watan was also said to be under the leadership of retired Syrian army officers, with a rationale for its existence being that the Syrian army has been fighting for some 4 years and cannot defend every area at once. Since its inception, one of the main activities of the Dir’ al-Watan has been to engage in outreach and visits to localities across Suwayda province. 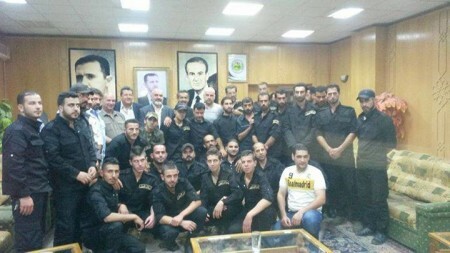 For example, in the photo below from the village of Barik, including Jerbo and Syrian army brigadier general Nayef al-Aqil, the latter of whom, according to pro-opposition media outlet All4Syria, was already reportedly in charge of forming pro-Assad ‘Hashd Sha’abi’ forces in Suwayda earlier in 2015. This Suwayda version of Iraq’s ‘Hashd Sha’abi’ (Popular Mobilization) that is a brand name for mostly Shi’a militia formations is in reality identical with Dir’ al-Watan. On left: Sheikh Jerbo. On right: Nayef al-Aqil. Dir’ al-Watan outreach to the village of al-Janina to the northeast of Suwayda city. Note the portrait of Bashar al-Assad. Of interest in this context are the ties between Dir’ al-Watan and a local Druze militia in the area to the northeast of Suwayda city known in full as “Burkan al-Jabal Al Nu’aim” (‘Volcano Mountain: Family of Nu’aim’). Like Dir’ al-Watan, Burkan al-Jabal has demonstrated firm loyalty to Assad. 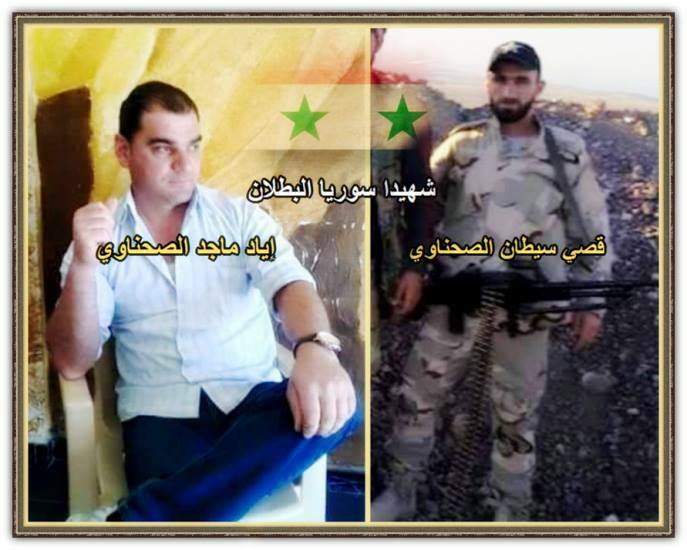 On 10 July, the Tel Fara area near al-Janina village came under attack from IS, which was repelled at the cost of three fallen fighters for al-Janina: Osama Muhammad Saliha, Qasi Saytan al-Sahnawi, and Iyad Majid al-Sahnawi. 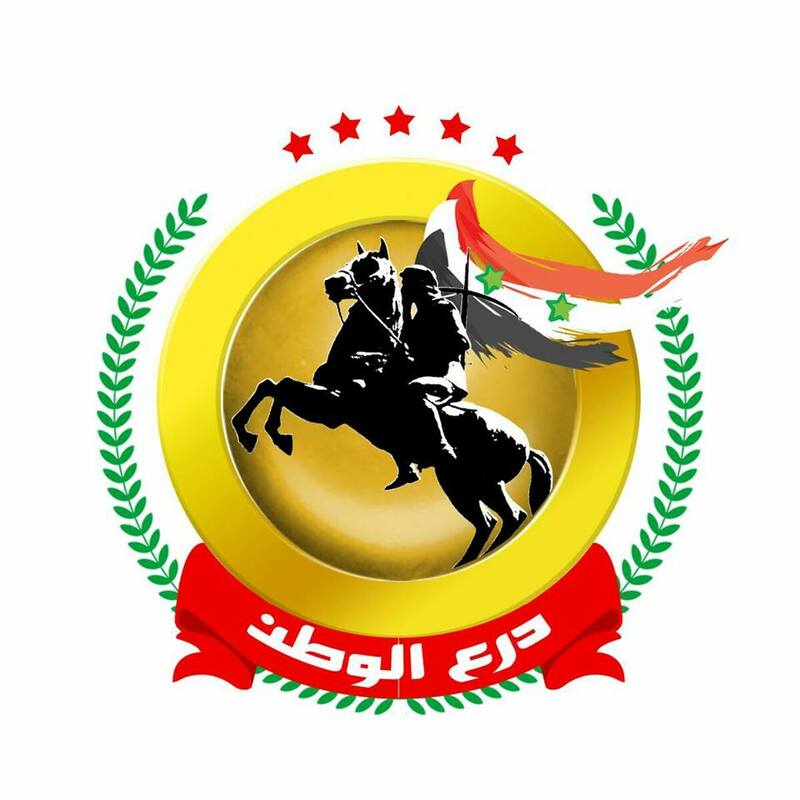 Another notable area of outreach by Dir’ al-Watan has been the town of Salkhad, featuring at the end of July the whole array of main figures involved with Dir’ al-Watan: Sheikh Jerbo, Sheikh Hamoud al-Hanawi, Nayef al-Aqil and Mamdouh Malak (another Syrian army figure). The meeting led to a newly formed local militia and ‘social faction’: al-Zaghaba. 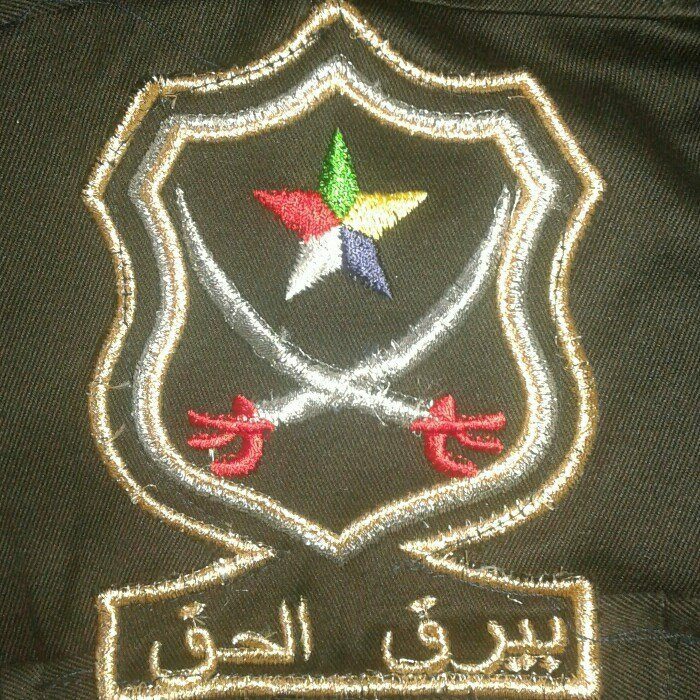 In its founding statement, the group warned of the “dangers, conspiracies and sources of strife agitating to shake the security of our region and our proud mountain [Jabal al-Arab/al-Druze],” affirming that “what concerns us is waging war on those sources of strife and protecting the security of our land and public possessions that are for all its sons rather than the differences in their opinions, desires and political and thought stances, and [what concerns us is] protection of land and honour, for we have found today that this region is exposed to danger from anarchic, barbaric groups that have no religion and creed except the Shari’a of the jungle and slaughter, and have no political or reform aim but rather their aim is destruction, kidnapping and maltreatment.” Therefore, “our opinions and points of views agreed to form a faction from the youth of this town recruited for service, and this faction is armed with what types of weapons are available to it.” Though officially denying affiliation with any party, its alignment with Dir’ al-Watan is clear from the sequence of events that culminated in its founding. From the meeting in Salkhad: Sheikh Hamoud al-Hanawi. 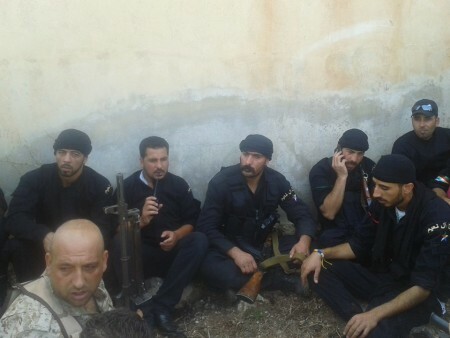 Notice the man in Syrian Social Nationalist Party [SSNP] clothing besides Hanawi. The SSNP is another active pro-Assad faction in Suwayda whose affinity has been advertised with Dir’ al-Watan in social media, as per the graphic below. The SSNP in Suwayda has played an active role in fighting, most notably claiming two ‘martyrs‘ in June in fending off the rebel assault on Tha’ala airbase, and has claimed multiple other ‘martyrs’ from Suwayda province before, some of whom appear to be jointly claimed by the Syrian armed forces and the SSNP. 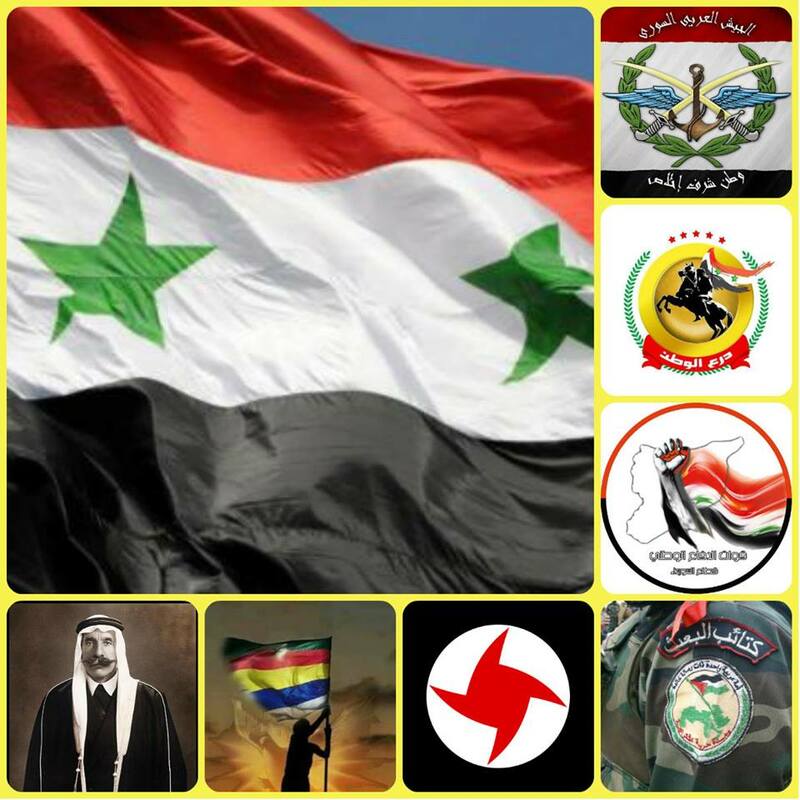 Pro-Assad factions of Suwayda, including Dir’ al-Watan and the SSNP. Thus it can be seen how closely intertwined Dir’ al-Watan is with already existing pro-Assad factions in Suwayda province, undoubtedly pushing back against the rise over the past year of Sheikh Abu Fahd Waheed al-Bal’ous, about whom more below. Translating as “The Men of Dignity,” Rijal al-Karama refers to the following of Bal’ous, who first emerged in early 2014 as a dissident sheikh within Suwayda province. Notable for his fiery rhetoric that seemed to imply overthrowing the regime, Bal’ous then went quiet for a time but has since re-emerged in public, commanding support both on the ground and on social media. However, it must be said that there has been a good deal of mischaracterization of what Bal’ous and his faction are actually pushing for. 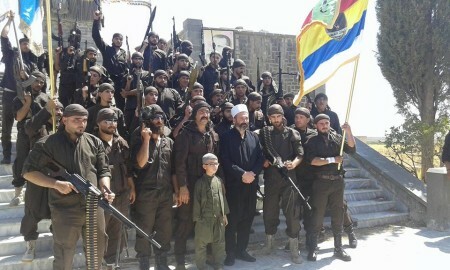 It is true that Bal’ous and his supporters have attracted the ire of recognisable pro-Assad Druze figures and social media, but there seems to be a conception that they are pushing for the downfall of regime authority over Suwayda province, either creating his own separatist Druze administration or striking a deal with ‘moderate’ rebels to take over. In reality, Bal’ous’ earlier bellicose statements were just rhetoric (in this assessment, I am agreeing with my friend Tobias Lang, who focuses in-depth on Syrian and Middle Eastern minorities). In reality, no one can seriously advocate the downfall of regime authority over Suwayda province, because there does not exist a viable alternative to it, with provision of jobs, public administration, and so forth. Handing over administration to opposition factions in particular would be unthinkable, as there is no model of rebel administration in the south to go by and there is no guarantee that the likes of Jabhat al-Nusra could be kept out. Indeed, one should not overlook the impact of the forced conversion of the Druze in Idlib to Sunni Islam at the hands of Jabhat al-Nusra, a fact still generally omitted in media and reports and about which many rebel factions and opposition supporters remain in denial. 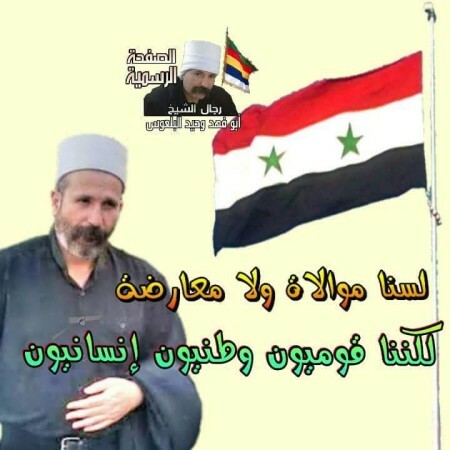 From “The men of Sheikh Abu Fahd Waheed al-Bal’ous”: “We are not loyalist or opposition, but human nationalists of the people.” Note the Syrian regime flag. In practice Rijal al-Karama could not manage Suwayda security wholly on its own, accordingly cooperation and an anti-fitna stance must be stressed even with pro-Assad factions: “The National Defence, Popular Committees, Ba’ath Brigades, Syrian Arab Army, Factions of the Mashayakh al-‘Aql and Rijal al-Karama: hand in hand to defend the land of the mountain.” Note that the “Factions of the Mashayakh al-‘Aql” refer most likely to Dir’ al-Watan and its associates, which are endorsed by the three main mashaykh al-‘aql in Suwayda (Jerbo, Hanawi and Hikmat al-Hijri). The same emphasis on cooperation has been affirmed with regards to defending Tha’ala airbase. Ayan Nayef al-Awam, a ‘martyr’ for Rijal al-Karama. 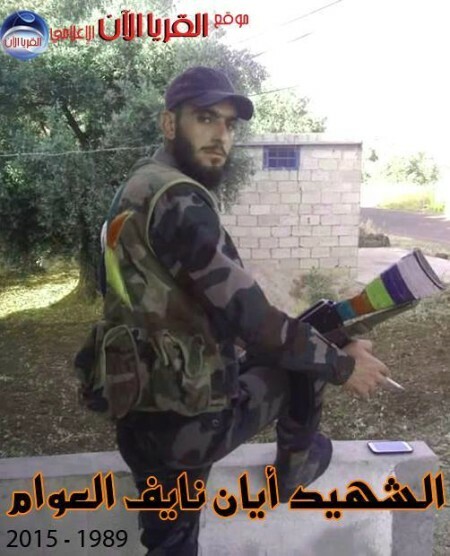 Note the Druze insignia on his weapon and clothing. 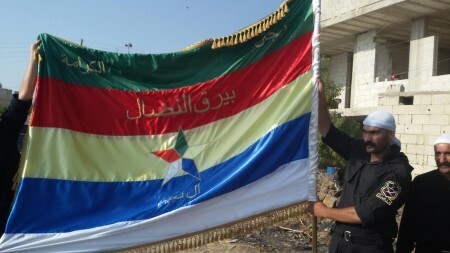 However, his ‘martyrdom’ poster has the Syrian regime flag on it. None of the above in graphics and photos is to gloss over differences between Rijal al-Karama and the likes of Dir’ al-Watan. Though respect is paid to the Syrian flag and it is used as appropriate, on the field Rijal al-Karama certainly places much more emphasis than the pro-Assad factions on the use of the Druze flag. 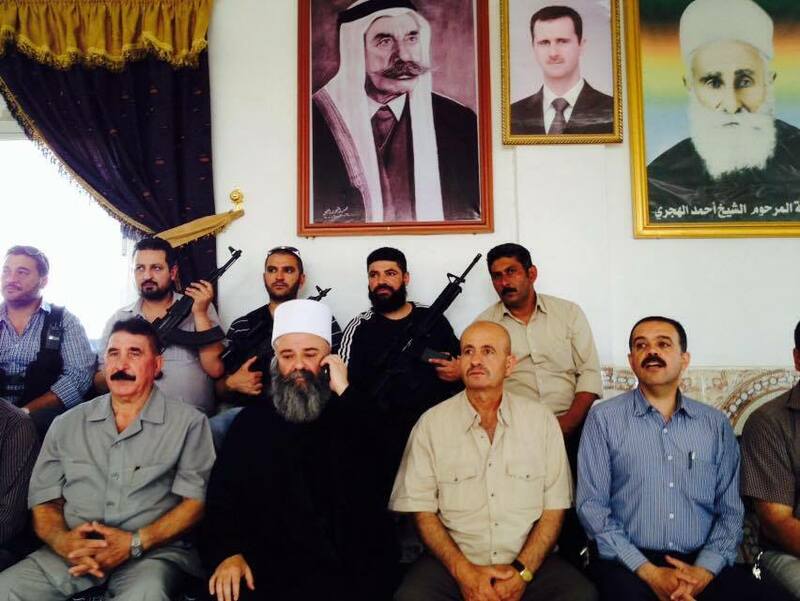 This is also apparent in the other Druze militias claiming affinity with Bal’ous and Rijal al-Karama. Rijal al-Karama and aligned mashayakh in Shaqqa to the northeast of Suwayda city. 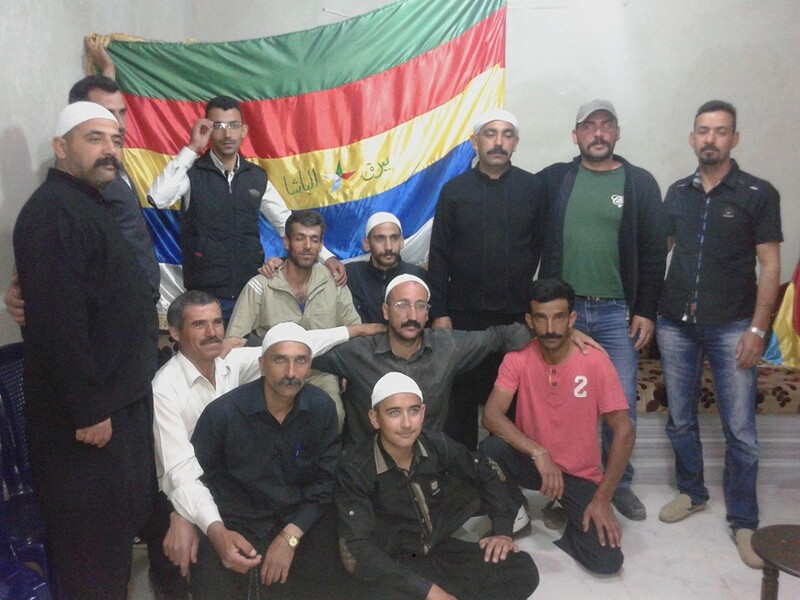 One of the new Druze militias aligned with Rijal al-Karama and visited by Bal’ous: Bayraq Al Nu’aim (Banner of the Family of Nu’aim: cf. 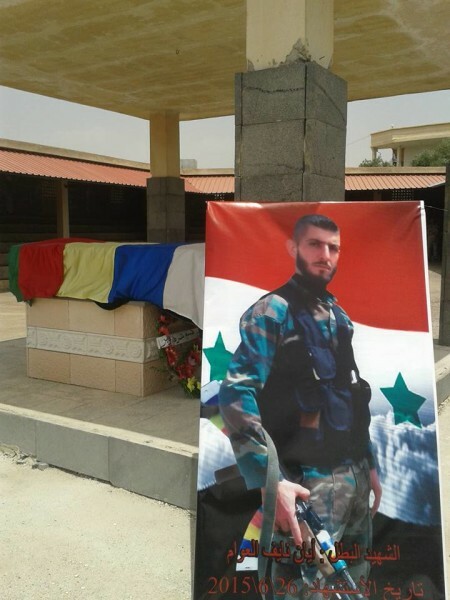 Burkan al-Jabal Al Nu’aim), which renamed itself in July Bayraq al-Nidal, named after Syrian army brigadier general Nidal Mu’adha Nu’aim, who was killed in Khanaser in Aleppo province on 10 July 2013 while trying to dismantle IEDs. 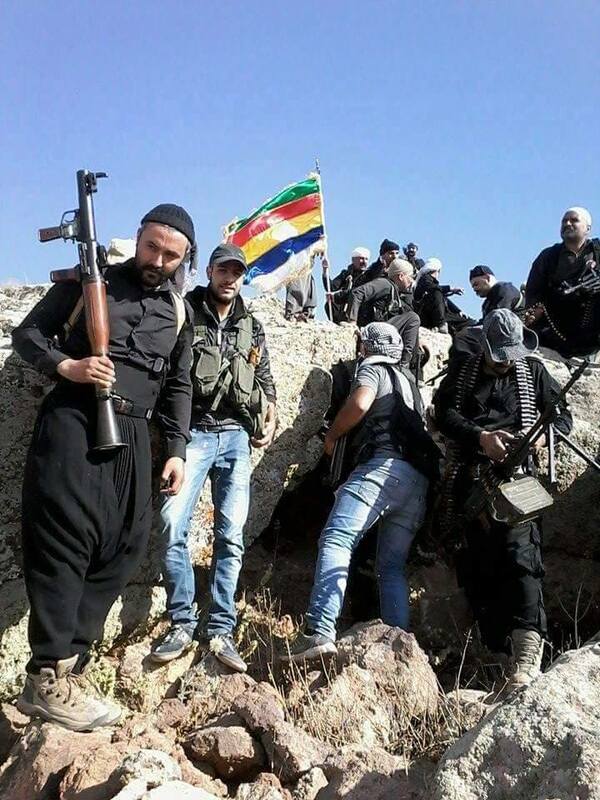 Bayraq Al Nu’aim fighters: note their distinct armpatches. The militia has been involved in defence of eastern Suwayda localities like Qeisemah against potential and real IS threats and al-Tha’ala to the west against rebels. Bayraq al-Haq, linked to Bayraq Al Nu’aim. Both groups also extended condolences to two army soldiers killed in Tellat al-Sheikh Hussein in Deraa. Bayraq al-Basha, another Rijal al-Karama aligned militia, taking its name from historic Druze leader Sultan al-Atrash. Bal’ous has visited this militia in the village of Mughayyir. 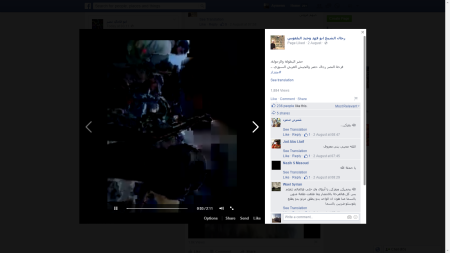 The militia also has influence in the southern Suwayda village of al-Ghariyyeh (near the border with Jordan). Quwat al-Fahd/Bayraq al-Fahd (named for Bal’ous): an apparent unifying banner for the Rijal al-Karama militias advertised this month. The dynamics of Druze militias in Suwayda province have shifted considerably and grown in complexity over the past two years with the rise of Bal’ous in particular, but it would be a mistake to characterize these changes as a strict pro/anti regime dichotomy or as marking the verge of the downfall of the regime in the province as some excited observers and commentators wished to propose. Rather, the developments reflect the same trend as in other remaining parts of Syria held by the regime whereby actors beyond the regular armed forces exert influence as militias and attempt to stake out their claims in the political landscape of what is left of regime-held Syria. To an extent, the regime has already conceded to the likes of Bal’ous with the entrenchment strategy that focuses on defending vital areas. As of yet, the opposition still lacks a convincing alternative for the Druze of Suwayda, and so the framework of politics in Suwayda operates on the assumption of continued functioning of regime authority and administration. While regiments spend countless hours defending assad and his cronies people continue to pay the price in blood and treasure expecting a miracle from a security establishment that has failed to protect the people from regime thugs and opposition thugs. 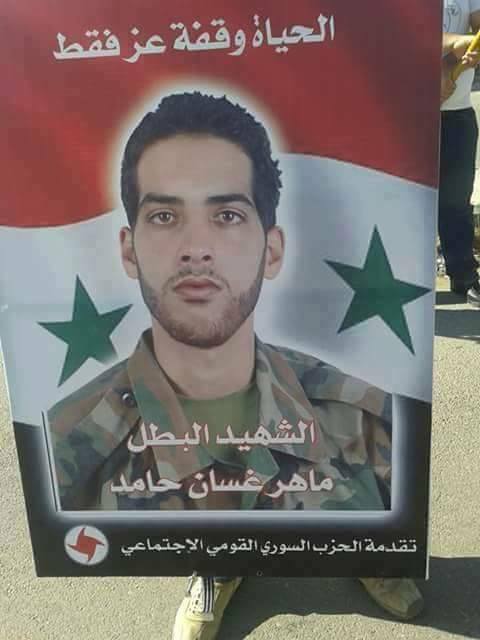 Sulaiman Hilal alassad has become the face of pro regime terror inside the den, his latest crime was killing an officer ( an engineer and a colonel) in cold blood in the streets of Latakia in a way that reminds us with the Italian mafia. Nobody in latakia’s large mukhabarat army dares to arrest the thug and even when he was jailed once he was let go in less than a week. Syrians are the victims of their own government and anti government thugs alike, both sides who have guns are only concerned about preserving their own wealth and power not the health of their own country. Dear fellow Syrians, we are scr…ed !! Suwayada and the Durze are last month news. It seems that SC has a month delay bottom on thier site. Building bridges towards the sect my foot. It should be the other way around. It is the sect that needs to build bridges towards the majority of the population. For far too long every appointment and every position and every decision and all the levers of security and economy and education and you name it have been exclusively and increasingly in the hands of the sect: governors, university presidents, etc…. and if not then a prop of a Sunni in place. The hatred expressed by the sect for everything that is Sunni and the harking back to events that happened 1400 years ago and the painting with a single brush that the very identity of a Sunni is one defined by Ibn Taymieh as we have read here makes it impossible yes impossible to ever trust these people as we discover that they have been holding a grudge and making the people of today pay for a perceived injustice of 1400 years ago. O Zeinab O Hussein O Ali are their calls. Where is the outrage and the demand for justice for Hamza Alkhatib? I guess the demand for justice for this Colonel is only due because he is an Alewite. As for justice for Syria and Syrians being tortured and killed and imprisoned and raped and exiled and impoverished not only is not mentioned but appears to satisfy a thirst for blood that is mind boggling. I have yet to hear or read or see any objection and any dissent and any real revolt against the regime from the Alawi community. A writer here and there may be. The problem is that in the sect’s ideology the leader is God and represents an incarnation of Ali and therefore it is impossible to revolt against him and it is blasphemous to them to refuse to obey or question anything. Advocating a peaceful separation was my proposal a long time ago as there seems to be absolutely no grounds for co existence today or any time soon but of course this would have meant the end of one sect rule and therefore I was accused of calling for their genocide. As for the other side kick that continues to insult the people with his chicken soup recipes please get it once and for all in your head: the people that are revolting are the same people that supported the regime when it had a minimum of decency and the people of Syria having seen what happened to Iraq and Lebanon were not initially interested in armed revolt but the torture and killing and dismemberment of Hamza Alkhatib and the impunity of the governor of Deraa allowed by the sect and the regime has led to this path. Today the regime cannot deliver to its patrons Iran and Russia and both are not willing to send in their own troops therefore they will abandon the project. That is why we have some pretending that there is dissent within the sect. As for this post not only it is old news but it is too little too late. All the sects want the Sunni majority to be secular while they remain sects with privileges. even the Iranian proposal has this in its very core showing how sectarian Shia are in the end. This time the end of Assad is a real possibility, not necessarily soon but I think it is certain that there will not be an ASSAD III. The deal between Obama and Iran/Russia Mafias include the approval of an international chemical attack investigation that will indict Assad… or maybe they will indict Osama Bin Laden. Druzes of Syria are uncultivated politically like the rest of plain syrians after 50 years of political disasters and civil society systematic destruction. The fact of being druze do not add any extra information. Through the years they have been infected by the Assad hatred virus as they participated in some of the worst massacres like that of Hama. The Book of Wisdom maybe a very interesting book but plain druzes have poor idea about religion, philosophy or politics. Now they keep on commiting more mistakes swearing alliance to the Great Dictator, specially now that Assad is going to be accused of Crimes Against Humanity. They may believe in the transmigration of the soul or finally unite with the Cosmic Mind but they are sharing in the destruction of Syria. Maybe their next body will bare israeli or jordan passport. Give the Druze a genuine alternative and watch them defect in droves. I just can’t fathom that they will let it go after their sons were turned to murderes to protect بطة الاسد and in the interim lost them to hell. As you said, there is a positive thing beyond what happened. The murdered colonel has most likely killed Syrians and deserved his fate. He probably murdered innocent Syrian men and women in front of their children for Batta, only to be murdered by another animal in front of his own children. II still would like him hanged but Batta is too weak to do it….unless a master mullah ushers him otherwise. Saudi says its willing to stop all weapons flow to rebels if Iran and HA pull their proxies from Syria. With the UN supervising the next election. Best plan I’ve read in a long time. Yet, just like most great plans it will be ignored and sidelined. Over a thousand people gathered in the heart of Latakia demanding justice after Sulaiman Hilal al-assad killed a colonel engineer in cold blood in front of his family. From what I read the victim was not a combat officer, until we know what he did and did not do we should not call him names just because of his sect and his employer. I don’t get the argument that minorities were not given a “genuine alternative”. I don’t expect to be given anything, I strive for it and demand it whether it’s from my own community, my country our for myself. That’s called life. Why not instead of waiting for someone to give you a better alternative, you come up with one that’s not Assad! On the issue of Assad not being able to deliver justice to Sulaiman, I tend to believe that the killer will be arrested, whether he will be given the death penalty or not, that is beyond my crystal ball’s ability. Assad needs a boost and he can not afford to look forgiving now when tens of thousands of alawites lost their sons in the war and will not let Sulaiman get away with this murder, they see Sulaiman as a traitor. Minorities like all Syrians had no leadership or political parties to replace albaath and Assad but they certainly will not divorce the regime and get married to Nusra, ISIS, Jaish al-islam, Jaish al-Fateh,etc. The opposition now is dominated by Islamists, many of them are outright terrorists, nobody trusts them even if they say otherwise. So your argument is pretty much the same as Assads. It’s either Assad or Daesh. So let’s stick with Assad because that’s the devil we know. That’s not a solution, and no one but Assad is asking the minorities to make that choice. I absolutely agree that freedom is the key but that means freedom for ALL. The departure of Assad and his cronies is a national necessity even if some of you supported him in the past. You can not have freedom if you want to get rid of your enemies and the people you do not like. Maybe – and I really don’t have high hopes for it – the Iranians and the Russians will one day pressure the regime to negotiate seriously handing over power to a transitional unity government. Well who destroyed killed maimed tortured imprisoned and exiled more: the regime or the opposition? Use your calculator Ghufran and tell me how many towns villages and streets and how many people were affected by either side. The reality is that the war has not arrived yet to the Alawi or Druze areas of the country and whenever it arrives in a small way like the latest killing of this Colonel all of a sudden we find the sect awakened by a sense of urgency for justice. They celebrated and distributed candy when Kusair was destroyed and do the same when Zabadani is being pummeled with thousands of rounds of missiles and when gas attacks are carried out but all of a sudden their conscience is tickled when one of their own is killed by another thug. I have told before: separate peacefully and if you cannot for the statelets are not viable then learn to live and let live: but no the sects wanted to live and kill and oppress and deny and steal and deprive the majority of their place in the country. Ukraine today ruling by ZIO-Jewish pro israel, pro western puppets. LOL. Exact numbers of the Jews living in Ukraine, of course, know employees of the Central Synagogue. But they never will announce them. This is the greatest secret of quiet occupation of all countries world Jewry (and Ukraine in particular). “The reality is that the war has not arrived yet to the Alawi or Druze areas of the country and whenever it arrives in a small way like the latest killing of this Colonel all of a sudden we find the sect awakened by a sense of urgency for justice. 2 million Syrians, mostly Sunnis, who emigrated to safe cities running away from your “freedom fighters” who are shelling Syrian towns randomly and exposing civilians to the danger of this war by occupying villages and transforming them into small Syrianstans. Syrian air force bombed occupied towns and many civilians get killed, that is why this war should not have started in the first place. The irony is that there are thousands of rebels who sent their women and children to “enemies” land (where they receive food and shelter)while they themselves are fighting with the terrorists and killing Syrians soldiers many of whom are from those relatively safe zones !! The more I read your posts the more I am convinced that it is all about vengeance, freedom and democracy slogans are fig leaves that can not hide the naked truth about the rebels and the people who support them. For the first time in history civilians are moving closer to the front lines during a war to escape from Assads barrel bombs. They figure the mortars and sniper fire is less of a threat to their lives than those barrel bombs that Assad never drops at the front line because they have a high probability of killing his own militias. Assads strategy has been all along to punish the civilians that dared to defy him, and to blame rebels for his strategy is ingenious at best. You’re trying to whitewash these crimes as somehow a reaction to the actions taken by the opposition is horrendous. And comparing how many combatants have died in this war to that of civilian deaths is another bankrupt argument. Combatants choose to fight, while civilians have no choice in their own massacre. By and large the majority of civilians killed have been Sunni, and they were massacred by those that claim To represent them. That’s the ugly truth you don’t want to come to terms with. Sunnis like Tara, “Syrian,” al-Shaykh al-Fadel Observer, and co show all elements of not knowing what to do. So, for many days we heard the same group saying: why the Alawites did not do this, why the Alawites did not do that, why the Alawites never said no to al-Assad? And, when a GOLDEN chance come their way when Sulayman al-Assad kills an Alawite Colonel and the Alawites started adopting a new attitude, these Sunnis did exactly what Bashar al-Assad want from them, to ridicule the Alawites’ demonstration in Latakia instead of taking advantage of it to gain more Alawites against al-Assad. Bashar al-Assad should send a thank you note to the group I mentioned above. It is not true that Alawite soldiers choose to fight, nobody wants to kill and take the risk of getting killed, those solders have no choice, most of us know that but many want to forget this fact. Rebels started targeting soldiers as early as April 2011, and they killed them everywhere they found them even in non combat zones. The objective was clear from day one: kill as many soldiers as possible and bring those evil Alawites into submission because we are the majority. In every case, wherever the majority argument is used to justify violence and discrimination, a fascist regime emerges. I never supported the early involvement of the army in this war and never condoned bombing Syrian cities but if you want to see the whole picture you need to use both eyes and try to wear the dress of a neutral judge if you can. Nuke Deal Won’t Change Iran’s Aproach to Region. Obama, the Nobel Peace Prize has created the basis for the next Regional All Out War in the Middle East. Great Legacy !!! و7719 أنثى فوق سن الثامنة عشر. و39843 من مقاتلي الفصائل المقاتلة والفصائل الإسلامية. 1. Less than 18% of civilian casualties were women and children while these two groups are about 70% of the population (not to minimize the size of the tragedy but to enlighten some thick minds). 2. there are almost as many pro regime fighters killed as unarmed men. keep in mind that many of the victims lived in mixed areas and died due to heavy fighting and not just regime bombardment. 4. for every non Syrian pro regime fighter killed, 8 anti regime non Syrian fighters saw the same fate. 6. number of dead pro regime fighters (syrian and non Syrian)was higher than anti regime rebels who also died. to less than 5% on pro regime armed militias. YOU FORGOT TO SAY THAT ASSAD THUGS KILLED HUNDREDS OF PEACEFULL DEMONSTRATORS IN MARCH. THIS IS YOU IMAGINATION. THE ONLY REAL FACT WAS THAT ALL SYRIANS LIVED UNDER SUBMISSION OF A SECURITY DICTATORSHIP OF A SECTARIAN FAMILY. THE SYRIAN REGIME IS THE MOST FASCIST REGIME, NOT THE NAZI STYLE OF A MAJORITY OVER A MINORITY BUT EVEN WORSE, THE FASCISM OF A MINORITY, OR EVEN A FAMILY MAFIA, OVER A MAJORITY. 1. less than 5% of total dead armed men fighting for the regime were non Syrian compared to more than 44% of rebel force. 2. women and children in Syria are 70% of population, yet they are about 18% of the victims. credibility. This is why Western media and many Syrians do not believe a ward that comes out of pro rebel media until they verify it from a third source (the second source is pro regime media which is also known to lie). It is not even Too little, two late… May I point out that the murdered colonel was Alawi! The sect is angered because he is an Alawi, not less, not more. Is that considered extending their arm?! It is a joke to consider it anything for what it is. A sectarianism at its glory! Well let us remember for a while the past great Sunni democrats: Saddam Hussein, Mubarak, Siad Barre, Gaddafi, Idi Amin, Surharto etc. If Assad is worse than Saddam then USA attacked by accident the wrong country. The reality is that Assad’s ruling style during normal times didn’t differ much of that in numerous other authoritarian countries in the region. They all used equal methods to keep internal order and “discipline”. Sandro by the way Suharto (the Sunni) killed over one million, they were called communists (actually they were in many cases educated nationalists who were against US imperialism in their country, the soldiers got the lists of unwanted “communists” from CIA). Sandro der Löwe did Saddam represent in Iraq the majority? In your own terms it was THE FASCISM OF A (Sunni) MINORITY, OR EVEN A FAMILY MAFIA, OVER A (Shia) MAJORITY. Barrel bombs in this flood of rather childish propaganda have become some kind of equivalent of a small nuclear weapon. Barrel bomb is an improvised bomb, which are common to badly under-equipped armies. The explosive effect of such home made bombs are a fragment of those industrially produced bombs which better equipped armies (Saudis, USA, Israel, Turks etc) use. In WW2 Finns invented an improvised anti-tank weapon, which was called the Molotov cocktail (it was produced by the Finnish alcohol monopoly). That primitive bottle petrol bomb was an effective anti-tank weapon only in the Finnish home front propaganda. Chlorine is a very widely used chemical element. Basically every high school student knows how to produce chlorine. One needs salt (NaCl) and electricity. To make chlorine as an effective weapon against fast moving or decentralized small guerrilla troops is not possible. If it can made to be such then we all are in serious troubles, because every extremist group can use that “secret patent”. In WW1 chlorine could be used because very large amounts of that gas could be released against large troop concentrations 100 meters away. You may have some kind of comprehension problem because you say things I never said. but you do defend Assad and his dictatorship. You are the one who needs to probe that your dictatorship is legitimate and good for the syrian people. I just need to probe that Assad is a dictator and that he has committed crimes and this is very clear from the day he took power. So please that’s enough about emtpy diallogue about your stupid dictatorship. Last but not less, I am not a sunni, so all your reasoning based on sectarian views becomes senseless. Well the levers of justice are not working and there is not system to bring the criminals to a real court of law and an impartial jury and an honest judge therefore revenge it will be. 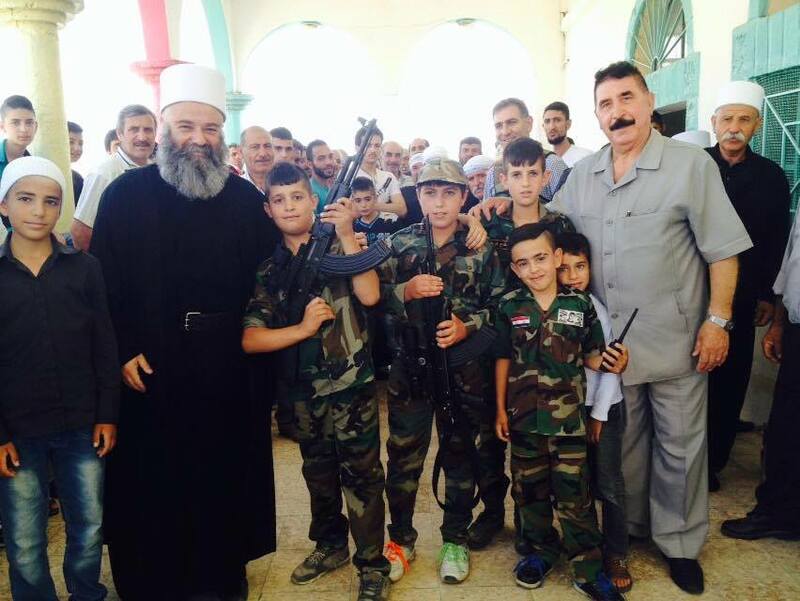 Why should anyone extend a hand to the sect as it has taken immense joy and pride in killing Syrians? Why should anyone have any dialogue when the first attempt at making any reforms starting in 2001 when the stupid guy was anointed in the place of his dead father resulted in imprisonment and exile. Show me the number of towns destroyed by barrel bombs and the number of people innocent killed by the opposition. You showed the regime troops these troops were either coerced or wanted to fight all along. There are very few civilians killed in the Druze Alawi and other sects compared to the rest of the population. Repent the end is near and the fact of the matter is that the sects had more than 60 years to have a civil society and a real democracy but they could not fathom letting go of their power and hence by the power of arms they will be removed. The Ghab plain is being redrawn as we speak and the opposition is about 15 Km from Latakia. Were it not for his air force he would have been finished a long time ago. His soldiers are cowards fighting always behind big guns and with barrel bombs but when it comes to face to face combat they just run like rats. As for the stupid president needing our comments this is an insult to our intelligence for he is not even capable of reading the meaning of the comment just like his side kick can only read in the comment what he wants to believe as our intentions are. He is ever more a pure disciple of Ibn T in reverse. But for the Grace of God there goes I as the saying goes. The family of this dead colonel should also ask for justice for Hamza Alkhatib and since Hamza was not of the sect he does not count as a human being. That is the crux of the matter once and for all. Well Sandro it is you who presents here all the time propaganda making in that Assad the worst ever seen dictator. It is you who brings up Assad ethnic/religious background constantly. I only pointed out that the Sunnies have not ruled their countries anyway differently than the Syrian regime had done before civil war. It is insane naivity for you obviously as a not Syrian and a Muslim to portray Assad as the worst ever seen dictator. Saddam and Assads had a common dominator besides representing a minority, both did not do what USA commanded. Before Iraq invasion we could “enjoy” equal massive bad dictator propaganda by which we are now bombarded. Saudi royals, Suharto etc did do what the Empire commanded, which made/makes these lunatic dictators “nice” and there were/are no aggressive regime change demands by US grannies and other “democracy” activists. Obama: Damn you until the seventh generation! al-Ghab is not 15 Kms from Latakia, it is at least 50 KMS or more…. The Sunni anti Assad fighters try and bomb Latakia almost every day from the closest points they have in the north…yesterday a rocket fell in the middle of Latakia, but it is the only one in hundreds they fired this year. Their rockets and artillery falls short hitting the Alawite villages around Latakia. Reading thawrajiyyeh posts can make one suspect that a liberal moderate political leadership is ready to govern Damascus when the regime falls but the reality could not be more different. The SNC and other political groups that oppose assad could not even set an office in any area ruled by islamist militias especially Nusra, not to mention isis. Day time dreamers who may not be pro Nusra et al but they have zero influence on rebels and the most they can do is fill the Internet with Facebook and blogs sites with ” brilliant” analysis. The second group are terrorists cheer leaders who would pick Nusra et al in a heart beat but they can not say that in public especially if they live in the West. It is not enough to count dead syrian soldiers and assad regime sins, syrians need a way out and a road map out of their misery and daily suffering and humiliation. President Barack is going to get Syria’s Assad out, or kill some more of us trying. The Arab Spring the Western alliance created cannot be complete without Assad being ousted, and without perpetuating Middle Eastern chaos. News today Barack Obama has managed to find another way to kill more Syrians, and President Bashar Hafez al-Assad, it affords Putin still more peacemaking opportunities. The neo-cons in Washington are now “all-in” on killing off Israel’s worst enemy, and busting Russia’s only fort in the Middle East. The moral of this story for Washington’s elite is: Assad has to join Muammar Gaddafi, Syria must cease to exist, and finally Russia has to be carved up into little, insignificant states in order for the Fourth Reich to emerge? Well perhaps, but Putin won’t go down so easy. Who’s going to stop Obama and his minions from destroying ripping Syria to pieces utterly? Watch Vladimir Putin, I’ll double down on that bet. ALAN your posts depicts the thoughts of someone who finally starts to accept reality, someone who sees that Assad regime is not sustainable in time anymore. Analyst Phil Butler notes in his article /above posted by me/, as far as at the time he was struck by an open letter of Vladimir Putin, in one of the largest US newspapers, and now it affects the aggressive nature of the actions of Barack Obama. Many researchers have noted that the rulers of the Third Reich and Hitler as a whole, in particular, served as a sort of demigod, who remained “absolutely infallible” in spite of everything. Despite the fact that Vladimir Putin was the main ideologist of the Syrian chimical disarmament in 2013, when the government of Bashar al-Assad geted rid of inventory of mass destruction, given credit for Barack Obama fully ascribes to himself. Why didn’t Assad soldiers fire on the peaceful demonstrators in Lattaki?! Where are العصابات المسلحة that fired on the peaceful demonstrators in Daraa and all other Syrian towns ? Do they not exist? Where are the snipers shooting little Alawi girls in the eyes? And where are the Shabeehas beating and torturing demonstrators ? Sectarian sect and criminal government. So I see you are following the events on the ground and looking at the maps to see the outlines of Alawistan and which village or town is being threatened. Again there is no such thing as Syrian National Identity: that village is not worth my time it is Sunni and good riddance if it bombed and oh my Lord this village is Alawi and the terrorists have bombed today. He he he he let us see if he can meet out some justice as he promises the mother of the dead colonel who perished in a traffic jam. I guess if he were Sunni he would have been forgotten and his killer would have been glorified. Of course we all follow events on the ground in Alawite areas. Who doesn’t? Unlike you and the dude “Syrian,” I know my country very well, especially the areas around where I came from. al-Ghab is not 15 km from Latakia… also, anti Assad forces are inside the governate of Latakia…they are in Salma in the east and in Rabia..North…. You are the model of disgusting sectarian syrian. This is the worst side of the regime of the House of Assad. They tried to hide sectarian attitudes to their beneffit while they were the first sectarian actors and used the sectarian feelings to develop mafia attitudes, clientelism and corruption. I do not think people like you can asume one day the fall and destruction of Assad. Alawites were poor and ignorant people and they are still being after 40 years in power. Because the rise of Assad only beneffit a percetage of the alawites. Worse even, now most of them are sectarian. If there is a sectarian person on this board it is you. I speak in a new language meant to solve things by facing them directly, try to get it , if not do not curse you may give yourself a heart attack. Grow up and call things how they are. You are like a little boy who can not deal with an adult problem, so he curses right and left. By the way, If we look at almost every post you write, we see the Shia and Iran as your obsession. Whom are trying to fool. If you do not like my logic do not curse at me, you are showing that you can not answer with real knowledge. Just screams and curses…. Does anyone know how many money suitcases were sent with the son of Boushra to pay for the slain of Hassan al-Sheikh? Perhap’s Matthew should restore the mathematical test if only to encourage our friend to invest in a calculator. 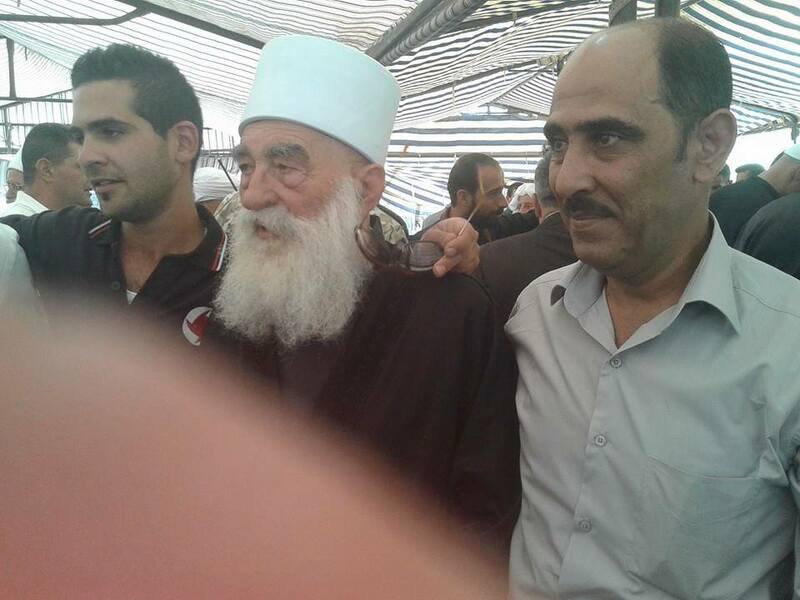 The rebels is negotiating with Iranian delegation over Zabadani fate! Bashar should be prosecuted for. الخيانة العظمى to his country and should be hanged!! ابن هلال الأسد (ابن عم بشار) تتفاعل في أوساط المؤيدين, الذين انقسموا فيما بينهم حول المصير الذي يستحقه (سليمان الأسد), فمنهم من رفع سقف مطالبه بإعدام سليمان وكل من يعتدي عليهم، حتى ُطرحت أسماء أخرى من عائلة الأسد وشاليش ومخلوف، وآخرون رأوا ضرورة تبرئة (سليمان) كرامة لأبيه “الشهيد هلال” كما يصفونه، والذي قتل عند اقتحام الثوار لبلدة (كسب) الحدودية العام الماضي كما قيل حينها… وأيضاً لابن عمه بشار رأس النظام واعتبروا أن المس بأي فرد من أفراد الأسد هو مسّ ببشار و”الأبد القائد حافظ”, معتبرين أن الاثنين قاما بانتشال الطائفة العلوية من “الفقر والحاجة” كما يزعمون! احتدت النقاشات بين الموالين من الطائفة العلوية حول تسمية الاحتجاج الذين خرجوا به عند دوار الزراعة في مدينة اللاذقية أمس الأول، بين “مسيرة” أم “مظاهرة”, ذلك لأن للكلمة دلالات عميقة عند المؤيدين. فالمسيرة هي هتاف بروح القائد الملهم, أما المظاهرة فهي تشبّه بـ”الخونة” الذين خرجوا في بداية عام 2011. من هذه النقاشات ما كتبه حسن البيروتي على صفحة “لا لإجرام سليمان الأسد” الذي دعا المؤيدين لأن يكونوا “أوعى من هيك” على حد تعبيره: “انو هلق اذا طلعت مظاهرة رح تدب فيه النخوة لسليمان ويسلم حالو مثلا… اكيد مو فارقة معو.. ونحنا عم نحمل قيادتنا عبء لازم نكون اوعى من هيك” إلا أن أحد المتواجدين في الاحتجاج رد على حسن ليؤكد له بأنها مسيرة: “خيي هيدي مو مظاهرة….هيدي كانت مسيرة اذا كنت موجود… .وكانت اعتصام راقي جدا ما طالبت العالم بشي غير براس هالكلب (سليمان الأسد)…وبس”. “نعم لإعدام سليمان ولا لخرب البلد”, هكذا علّق أحد الموالين معبراً عن انغماسه العميق بالهم السياسي العام.. ومذكراً: “هلق نسيتو كل شي صاير بالبلد واستلمتو هالموضوع …. يحب أن يطلق مؤيدو النظام على من خرج مطالباً بحريته وكرامته: “عرعوري- خائن- عميل”, ولم تتغير هذه الصفات تجاه معارضي النظام بل وحدتهم ضد الثورة. إلا أنه كان لافتاً ما كتبه (ذو الفقار مخلوف) معتبرا ما يجري “إثارة للبلبلة” قائلاً: “هلق المظاهرات وإثارة البلبلة بالبلد أبدى من القتال عالجبهة!!!! انا بعد اللي صار باللادقية بلشت افهم ليش الازمة صرلا 5 سنين.. اذا نحنا اهل الساحل هيك عم نعمل شو خلينا للعراعير و الدواعش!!!! كلام غريب”. وعاد (مخلوف) ليكتب رداً على أحد المعلقين واصفاً حتى المؤيدين بأنهم: “شعب جحش فعلاً” فقال: “سيادة الرئيس عم يقود معركة ضد الارهاب العالمي على ارض سوريا الحبيبة بدك يا يترك المعركة و يلحق فلان و علان بس لانن قرايبينو… في جهات مختصة شغلتا تحقق و تحاسب و الي الو حق رح ياخدو … بس فعلا شعب جحش …”. وآخر دفعه حماس التأييد لبشار أن يكون “صرامي بيت الاسد احسن ما نكون صرامي ال سعود و اردوغان”. أما زبدة القول، في هذا السجال الذي يقول لكل من يأملون خيراً في أن يكون هذا الاحتجاج “بداية صحوة” فكان لصفحة “لا لاجرام سليمان الأسد” حيث كتب أحدهم: “ألى مدعي الثورة: لعن الله كل مسلح فيهم, انتم اقذر خلق البشر وانتم عار هذا الوطن, دعاكم الرئيس للاصلاح في كل خطاب, دعاكم للمصالحه والعوده لحضن الوطن كل يوم, أنشأ وزارة للمصالحه لكم ولم تعدلو عن فجوركم, انتم لم تخرجو في درعا كرامة لطغيان عاطف نجيب, أنتم خرجتم طمعا بالحكم واعتبرتم ما حصل مطيه لافعالكم, انتم ومع الايام اثبتم انك مبتغي سلطه انكم طائفيين ولستم دعات حقوق لانكم لم تستجيبو لصوت المصالحة, نحن اهل الساحل سنخرج لنؤيد الرئيس ضد بطش اقربائه حتى يكون قادرا بوساطة القاعده الشعبيه ضده”. Apparently the geography is well known and following the rout of the regime is the latest hobby. There will be revenge unfortunately instead of justice but this concept has fled the region more than 1400 years ago only to be replaced by sectarian hatred. I am not sure but rumors has it that if you are called Omar you will be killed no matter how young you are: this was the fate of the children of Qusair. I think it is just rumor and propaganda but in view of the hatred spewed on this blog I think it would allow for the gullible to easily believe such tales therefore the only way forward and again unfortunately is revenge. I have written before he who sows the wind harvests the storm. PS my ancestors have nothing to do with today, that is the problem: continuing to go back 1400 and other dates before to dehumanize the other in preparation for his/her slaughter. Ibn T in reverse, in retrofit, in old fashion, in new fashion but Ibn T nevertheless. A miracle has happened. Sulaiman Hilal Assad was arrested. I assume this is the 1st time in history someone with the name Assad is convicted of a crime by the regime. I think this is more a move to ease the feelings than to really bring that thug to justice. He will more or less still have a five-star prison cell, may be with access to his night adventures with his buddies. 4) Manaf Tlass told common family members that Bashar Assad was initially going to offer reforms that the whole world would have welcomed, but after the Makhlouf family intervened, he scrapped initial speech and instead offered much less. I take a break and come back to find it dominated by an endlessly long over-the-top glorification of a nasty militia group. We all know young Aymenn Jawad Al-Tamimi is deeply obsessed with such things. He’s going to be lost when it’s all over. He’ll have to find new nasty gangs to get excited over and promote. I am still disgusted by the way this site repeatedly gave him a gallery for displaying massive pictures of dead jihadists. JUERGEN #65, there needs to be a blackout of mention of sleazy liar Ribal Al-Assad. He has a spreading damp patch on his trousers about current legal efforts in Europe to bring his vicious thief father Rifaat, Hafez’s brother, to justice. All his father’s money stolen from Syria will be going on legal fees. Poor little Ribal, his fantasies of replacing his cousin Bashar and preposterous lies and claims to be a “democrat” show he’s got the pure strain of low-IQ, nasty DNA of the Assad family. Update on Bashar’s classy friends. Apart from both having corrupt, incompetent, brutal,terrorist governments that act in every way against the interests of their citizens – including pointlessly supporting Bashar Assad – Iran and Russia now have something else in common. Iran now joins Russia in having a serious social problem with alcoholism (added to Iran’s status as one of the highest rate of heroin addiction in the world). And that’s in an Islamic country where alcohol is banned. Iran’s depressed and desperate citizens are getting drunk on home brew. Russia’s alcoholism rates will soon catch up as it slides into deeper recession and repression. The news is the Russian economy has contracted by almost 5% in the last year, which must be catastrophic for the average Russian, accelerating the economic and social setbacks under Putin’s brilliant management. I looks Ibn Al Hafyaneh is going straight to the edge of the world. * Terror in Tartous and Lattakia provoke first demonstrations against Assad, they can see the death is coming to Assad.